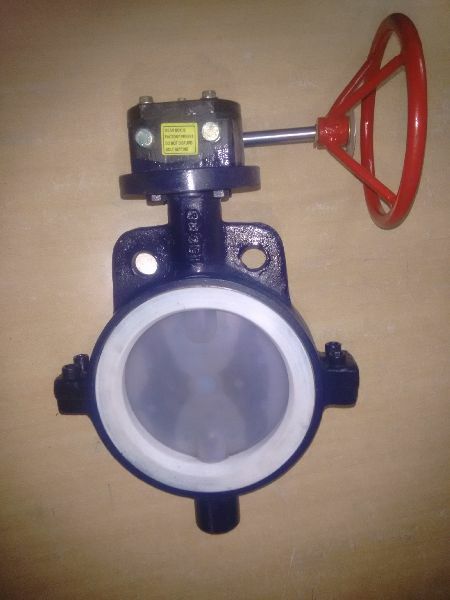 The company holds specialization in manufacturing, exporting and supplying premium quality PFA Lined Butterfly Valve. The PFA Lined Butterfly Valves, offered by us, have unique body energized seat design which results in bi – directional bubble tight shut – off. The versatility of our PFA Lined Butterfly Valve is given by superior sealing principle. PFA Lined Butterfly Valves are used to shut – off, throttle and control toxic and highly corrosive fluids, hazardous and pure liquids, gases and vapors. Face to Face Wafer short dimensions confirms to BS 5155 / API 609 / AWWA C 504 / ISO 5752. Applications Industrial Inorganic Chemicals,Alkali & Chlorine,Sulfur recovery,Bromine Production etc. Features Blow out proof stem,Lining Standard as per ASTM F 1545 etc.